Canterbury is a region of New Zealand, located in the central-eastern South Island. The region covers an area of 44,508 square kilometres (17,185 sq mi), and is home to a population of 624,000. Kaikoura is a town on the east coast of the South Island of New Zealand. It is located on State Highway 1, 180 km north of Christchurch. Ngāi Tahu, or Kāi Tahu, is the principal Māori iwi (tribe) of the southern region of New Zealand. 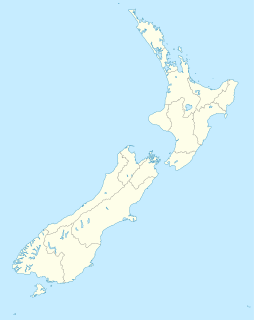 Its takiwā is the largest in New Zealand, and extends from Blenheim, Mount Mahanga and Kahurangi Point in the north to Stewart Island in the south. The takiwā comprises 18 rūnanga corresponding to traditional settlements. Statistics New Zealand defines urban areas of New Zealand for statistical purposes. The urban areas comprise cities, towns and other conurbations of a thousand people or more. In combination, the urban areas of the country constitute New Zealand's urban population. As of June 2018, the urban population made up 86.5% of New Zealand's total population. Wanaka is a popular ski and summer resort town in the Otago region of the South Island of New Zealand. At the southern end of Lake Wanaka, it is at the start of the Clutha River and is the gateway to Mount Aspiring National Park. Kaiapoi is a town in the Waimakariri District of the Canterbury region, in the South Island of New Zealand. The town is located approximately 17 kilometres north of central Christchurch, close to the mouth of the Waimakariri River. 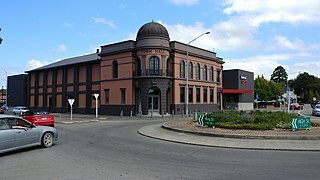 It is considered to be a satellite town of Christchurch, although in the Waimakariri for statistical purposes it is part of the Christchurch urban area. The Heathcote River lies within the city boundaries of Christchurch, New Zealand, and is fed from springs near Templetons Road and also receives wet weather flows from as far west as Pound Road. It meanders around the base of the Port Hills from west to south-east. The Kaiapoi River is a minor river of north Canterbury, in New Zealand's South Island. Originally called the Cam River, it is a tributary of the Waimakariri River, which it joins at the larger river's estuary. The river is 16 kilometres (10 mi) long, and its drainage area is about 430 square kilometres (170 sq mi). The Ashley River / Rakahuri is in Canterbury Region of New Zealand. It flows generally southeastwards for 65 kilometres (40 mi) before entering the Pacific Ocean at Waikuku Beach, Pegasus Bay north of Christchurch. The town of Rangiora is close to the south bank of the Ashley River. The river's official name was changed from Ashley River to the dual name Ashley River / Rakahuri by the Ngai Tahu Claims Settlement Act 1998. Hurunui District is a political district on the east coast of New Zealand's South Island, north of Christchurch, New Zealand. It forms part of the Canterbury region and stretches from the east coast to the main divide. Its land area is 8,660.43 square kilometres (3,343.81 sq mi). Waimakariri is a New Zealand parliamentary electorate, formed for the 1996 election and returning one Member of Parliament to the New Zealand House of Representatives. The MP for Waimakariri is Matthew Doocey of the National Party. He has held this position since the 2014 election and takes over from Kate Wilkinson, who defeated Clayton Cosgrove (Labour) in the 2011 election. Woodend is a town in the Waimakariri District, in the Canterbury Region of the South Island of New Zealand. It may have been named because it was on the edge of what was then called the Maori Bush, or after an early settler, Thomas Wooding. It is situated with both the Waimakariri and Ashley Rivers running either side. The Styx River runs along the northern boundary of Christchurch, New Zealand before flowing into the Waimakariri River close to its mouth via Brooklands Lagoon. This River catchment has its own website. Kaiapoi High School is a state co-educational secondary school located in Kaiapoi, in the Waimakariri District of New Zealand's South Island. The school serves 859 students from Years 9 to 13 as of August 2018.